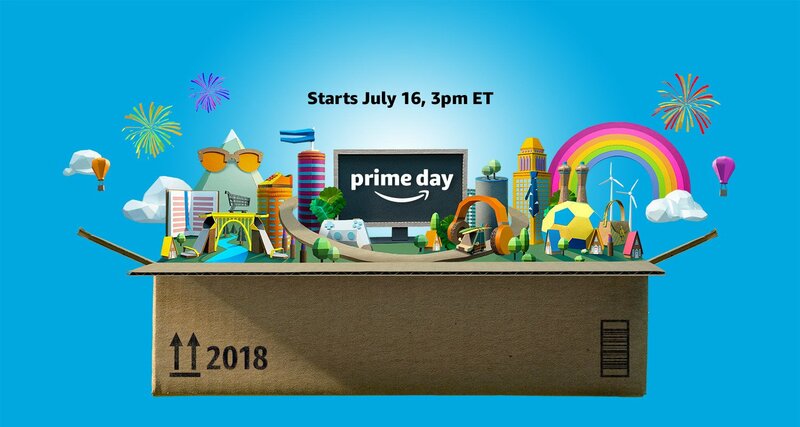 Amazon officially announced this week that this year’s Prime Day event will last for 36 hours beginning at 12 p.m., PDT (3 p.m., EDT), on Monday, July 16, and running through July 17. The company proclaimed that last year’s Prime Day was “too big for 24 hours” and gave Prime members 30 hours in which to shop in 2017. This year’s shopping holiday will last even longer and feature more than 1 million deals worldwide. Last year, Prime Day sales hit an estimated $1 billion, according to Cowen and Company, and Amazon commented that it had added tens of millions of Prime members during the shopping holiday. Amazon commented that the event grew by more than 60% compared to the same 30 hours in 2016 and we estimate that orders could grow 40%–50% this year. Previous years’ Prime Days focused heavily on Amazon-branded consumer electronics, such as Kindle e-readers, Fire tablets, Echo intelligent electronic assistants and Fire TV hardware. This year’s lineup now includes a $120 Fire TV cube that enables users to find programs and change channels via voice command. This year, Amazon is approaching Prime Day with an expanded portfolio of private-label brands across apparel, household goods and consumer goods. Amazon offers nearly 80 brands of its own, up from nearly 40 last year, according to news website Business Insider. Top-selling brands include Mama Bear (diapers and baby products), Basic Care (over-the-counter medicines), Presto (household cleaning products), Solimo (personal care products as well as coffee) and Wag (dog food), according to e-commerce data firm One Click Retail. The Solimo private label was just launched in June, but its light roast coffee pods (compatible with K-Cup coffeemakers) have already earned the mysterious “Amazon’s Choice” badge. Products designated with the “Amazon’s Choice” label feature low returns and high customer ratings, and they are more popular than other items. Clearly, Amazon’s size and its status as the first place consumers often go to search for products online give it enormous power to suggest its own products—which are likely higher-margin—first to consumers. For example, if a consumer tells her Alexa intelligent assistant to “buy batteries,” the default selection is the company’s own AmazonBasics batteries. The AmazonBasics brand extends well beyond batteries, offering products as diverse as LED light bulbs, luggage, office furniture, kitchen equipment, bedding and computer equipment. The Amazon Essentials brand includes men’s shirts, pants, underwear, outerwear and activewear, as well as clothing for women, girls and boys. It is notable that Amazon markets some of its private labels—such as AmazonBasics and Amazon Essentials—under its own name, but not all of them. The company’s Lark & Ro (women’s clothing) and Franklin & Freeman (men’s shoes) brands, for example, do not employ the Amazon name. Separately, Amazon has been targeting deals in its Whole Foods grocery stores to just “Prime” members, apparently distancing the stores from the Amazon name. Many of Amazon’s house labels have become major national brands in their own right. AmazonBasics has already taken a third of the online market for batteries, eclipsing both Energizer and Duracell, according to a recent New York Times article. And Amazon’s private-label sales could reach $25 billion by 2025, up from an estimated $7.5 billion this year, according to SunTrust. Prime Day is a tool to encourage more consumers to sign up for Prime subscriptions. Subscribers, in turn, receive more deals and additional services, which encourages them to keep the service, creating a virtuous circle for Amazon. Moreover, many services, such as one- to two-hour delivery and the ability to order from Echo devices, are offered exclusively to Prime members. In its shareholders’ letter this April, Amazon disclosed that the number of Prime members had exceeded 100 million. This year, Amazon announced that it will feature more than 1 million Prime Day deals worldwide, including deals on TVs, smart home devices, kitchen items, groceries, toys, fashion, furniture, appliances, back-to-school supplies and everyday staples. The company is promising hundreds of limited-edition, exclusive items as well as new product and content launches. In addition, Prime members will enjoy special discounts at Whole Foods stores during Prime Day, in addition to the 10% discount they already receive at the grocery chain. We’ll be following Prime Day developments leading up to the shopping holiday and all the way through the 36-hour event, as well as offering post–Prime Day coverage.